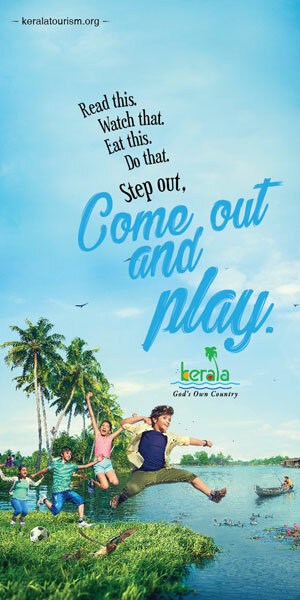 Come April and all of us will be looking for a long getaway from the scorching sun and the hustle-bustle of the city. With a myriad of interesting best places to visit in Kerala, you can be sure of an amazing vacation, especially in the Kerala capital, Thiruvananthapuram. If you want to spend your summer amidst nature, then this is the perfect escape. The mighty mountain peaks, the breath-taking views, the stunning lakes, and the perfect weather makes it a perfect vacation destination. The newly-opened Priyadarshini boat club in Kappil gives picturesque views and perfect boating experience. The pristine Kappil Beach and backwaters is situated 7 km away from Varkala. The ideal blend of the backwaters and sea, it offers an idyllic escape from the world. The Kodi Hills nearby offers a breath-taking view and a drive along the coastal road is also a delightful experience. You can see small hidden islands and rare bird species during the boat ride. Nestled in the foothills of the majestic Western Ghats, Neyyar offers a rare chance to view flora and fauna alongside numerous trekking options. It boasts of a beautiful Watch Tower, a Deer Park, a Lion Safari Park and a Crocodile Rehabilitation and Research Centre as well. The Neyyar Wildlife Sanctuary is the habitat of over a hundred species of fauna including the Asian Elephant, tiger, leopard, Slender Loris and reptiles and amphibians like the King Cobra, Travancore Tortoise, etc. 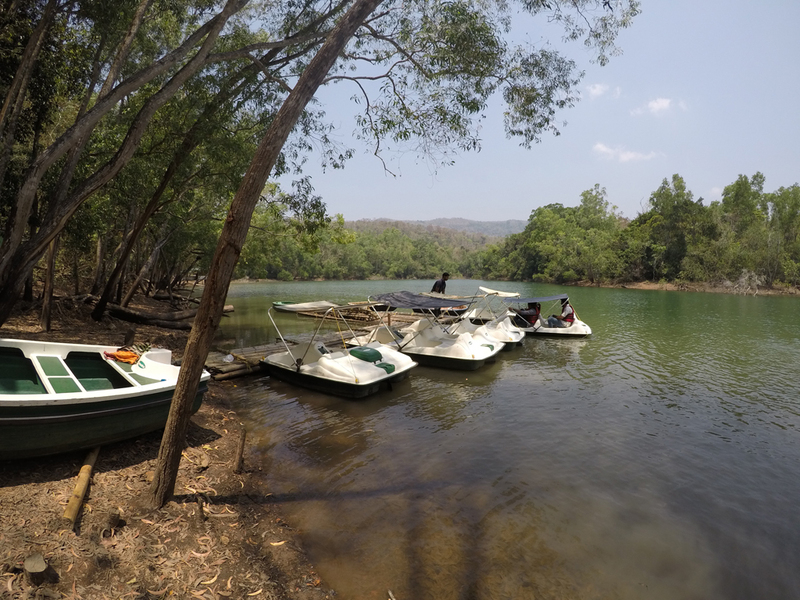 Both the District Tourism Promotion Council (DTPC) and Kerala Tourism Development Corporation (KTDC) run boat clubs here at the Dam. Kottur is around 35 kilometers from Trivandrum. 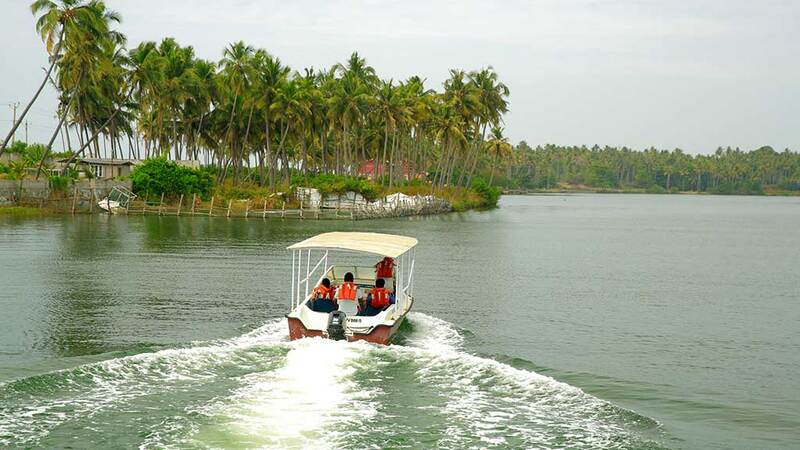 Flanked by the water of the Neyyar reservoir and the moist deciduous forest and grass lands, Kottur offers cruise programmes such as pedal boating, bamboo rafting and bowl boating. 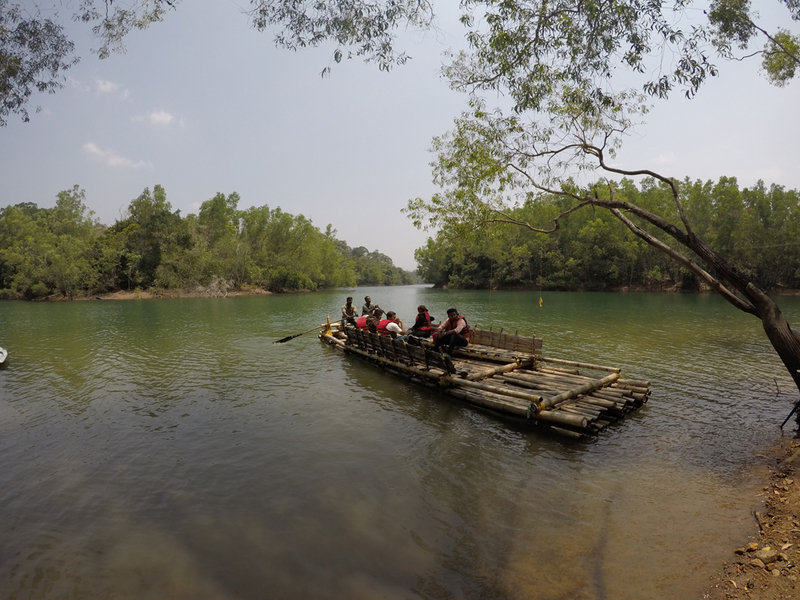 Bamboo rafting through the green waters of Neyyar is for 30 minutes and for pedal boating, two-seater and four-seater pedal boats are available for 30 minutes. Bowl Boating (Kuttavanchi) for 30 minutes will be an adventurous experience. Kottur elephant rehabilitation centre, nestled in the foothills of the Western Ghats, is also a place not to miss. The children will love to see the playful baby elephants. If you are arriving at the elephant rehabilitation centre by 9 am, you will get to watch the elephants taking bath and at 10.30 you can watch the elephants being fed by their handlers. If you prefer to stay at Kottur, there are cottages available for four persons at a price range of Rs 1600 and Rs 2100. There are six cottages available here – Barbler, Peacock, Barbet, Robin, Koel and Hornbill and the check in time is 2 pm. 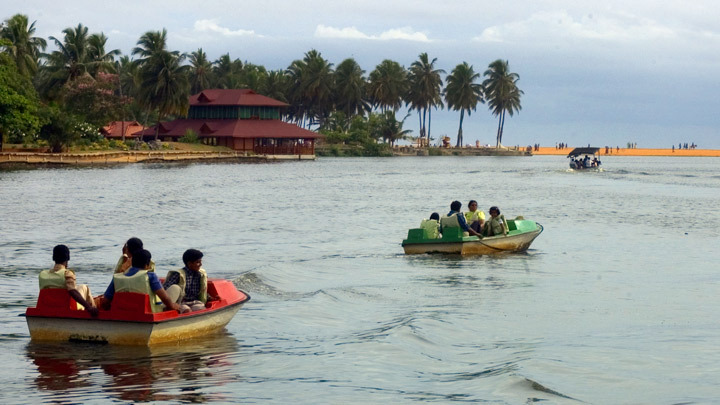 The Veli Tourist Village, which lies where the Veli Lake meets the Arabian Sea, is perfect for a day picnic. You can hire pedal boats or paddleboats as per their convenience here. 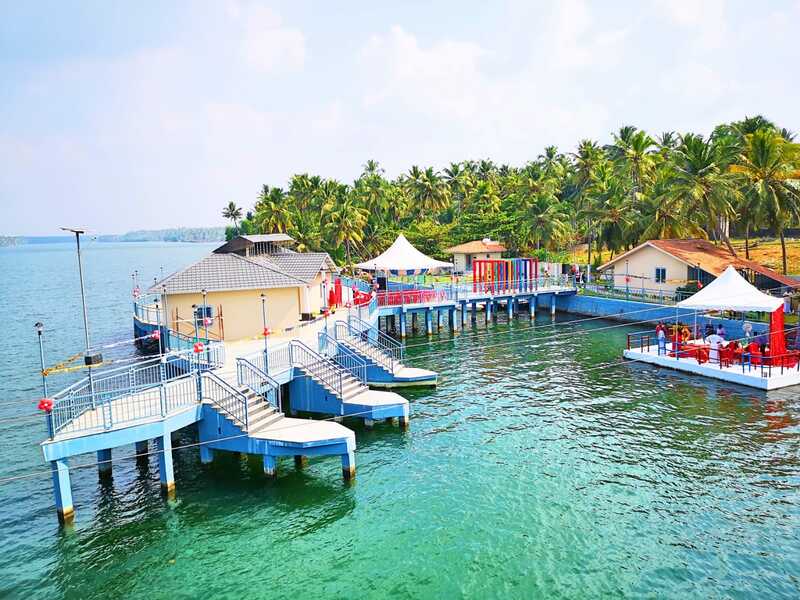 A separate Children’s Park and Floating Cafe run by Kerala Tourism Development Corporation (KTDC) are the added features of this place. The Veli Tourist Village is open from 9 am to 6 pm. The tourist village features play areas for children, various boat rides in Veli lake, games, horse rides, swimming pool, shopping stalls, cafeterias, a floating restaurant, stone and grass sculptures by Kanayi Kunhiraman which dots the garden landscape, a collection of pet birds such as pigeons and swans, small ponds with fish and tortoises and more! Chirayinkeezhu is just about 13 km from Varkala and is where the Vamanapuram River and the Anchuthengu backwater meets. The place is also famous for the Sarkara Devi Temple and Anjengo fort (Anchutengu kotta). The fort can be found on the way from Chirayinkil to Varkala via Kadakkavoor. You can enjoy a laid-back cruise through the tranquil waters of Muthalapozhi in Chirayinkeezhu. Both safari and speedboats are available here.